A German silver dinner spoon in the plain tipped handle pattern, dating from between 1862 and 1870. Manufactured by Hall & Elton of Wallingford, Connecticut. The donor's father, Winfield Scott Chapman, served with Company F of the 16th Iowa Infantry during the Civil War. 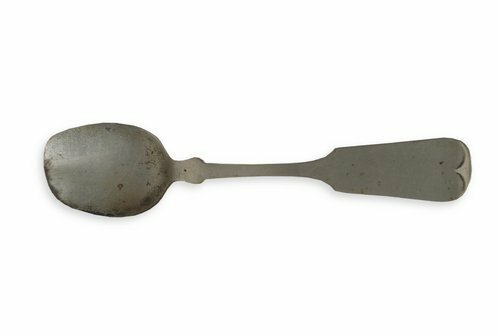 Chapman may have acquired the spoon when his regiment was stationed in Atlanta from June 8th to September 8th 1864. He used it until his regiment mustered out on July 19, 1865.